Your business can sell the full line of Individual Nature Pendants, Keyrings, Wine Charms & Ornaments (without note card). There are 100+ Handmades currently available and new Handmades are being added each week to the collection. All are handmade to your individual order. Individual Handmades will include in the package either a pendant chain & keyring or a pendant chain & ornament hook or a keyring & ornament hook or a wine charm & ornament hook set (see rack display below). This allows your business the ultimate flexibility as you don't have to stock multiple items. A person can purchase a Hand Made with the option to use it for 2 different reasons. MINIMUM NUMBER OF UNITS ORDERED: The initial minimum order for individual NATURE Hand Made is 36 assorted pieces (pendant, keyring, wine charm or ornament) and each re-order has a minimum of 15 pieces. 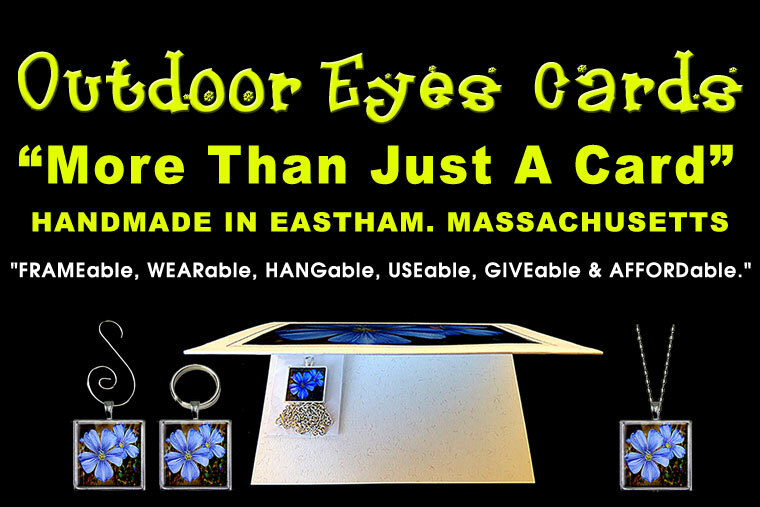 Contact Outdoor Eyes Cards for a wholesale quote. RACK & SIGN: Free Rack & Laminated Sign. Your business can sell the full line of Nature SIGNATURE COLLECTIONS (card & gift). There are 200+ SIGNATURE COLLECTIONS currently available and new SIGNATURE COLLECTIONS are being added each week to the collection. All SIGNATURE COLLECTIONS are handmade to your individual order. Matching SIGNATURE COLLECTIONS include a 5x7 Note Card and either a pendant, keyring, wine charm or ornament. MINIMUM NUMBER OF UNITS ORDERED: The initial minimum order for individual NATURE SIGNATURE COLLECTIONS is 36 assorted pieces (pendant, keyring, wine charm or ornament) and each re-order has a minimum of 15 pieces. 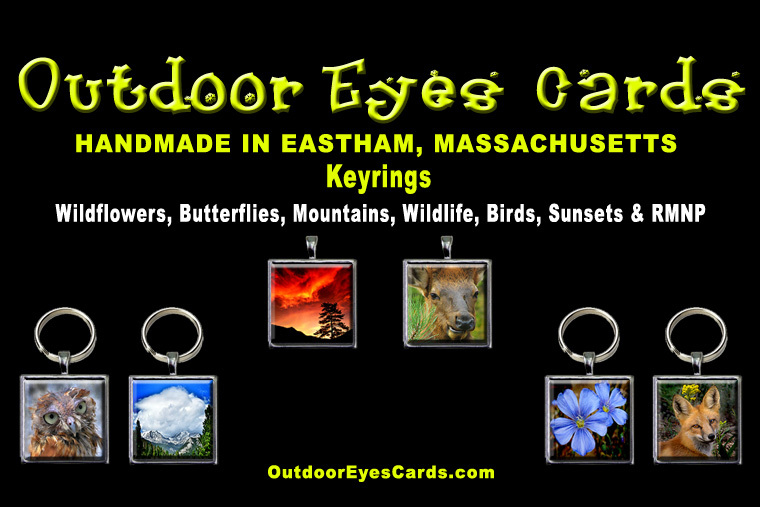 Contact Outdoor Eyes Cards for a wholesale quote. RACK & SIGN: Rack Not Included & Laminated Sign Included.